3-way valve DN50 (2"), Kvs 40 m³/h, brass, that can be used as a mixing valve or as a diverting valve in heating systems. LK 845 ThermoMix is suitable for motorization. 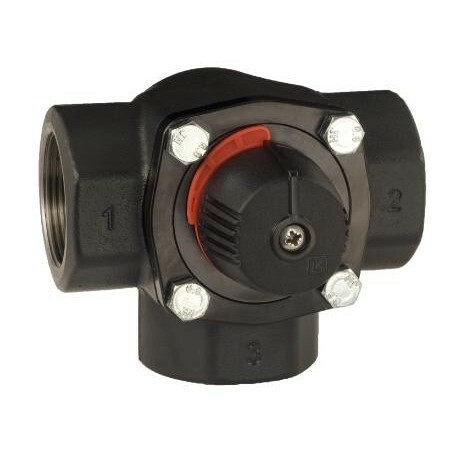 The valve can be mounted at any angle. LK 845 ThermoMix can easily be adapted for right- or left-hand mounting. We don't sell the LK Armatur products to outside of Estonia!